When Russian Defense Minister Sergei Shoigu said on Oct. 2 that the “unified” S-300 air defense systems in Syria will be installed in Syria by Oct. 20, he really meant its integration in the Russian homeland system. This element of his report to President Vladimir Putin is the key to the real import of Moscow’s response to the downing of its Il-20 spy plane on Sept. 17, for which Shoigu blamed Israel. DEBKAfile’s military and intelligence sources report that Putin seized on the disaster to establish in Syria an advanced air defense weapons system linked not only to the Russian Khmeimim Air Base in Latakia, but integrated in Russia’s own C3 command, control and communications system against nuclear attack. This move is a strategic game-changer for American and Israeli operations in Syria. They are no longer taxed with staying clear of Russian and Syrian missile batteries in Damascus, but are facing their first direct contest with the air defense system which defends Russian cities. Shoigu seemed to offer details on the S-300s delivered to Syria. He mentioned 49 units of “radars, basic target acquisition systems, command posts and four launchers.” But he carefully omitted to reveal how the Syrian and Russian air defense networks were to be linked to the command and control center in Russia and exactly how they would function together. A critical question remains open: Is the Syrian S-300 system fully integrated in the Russian homeland C-3 or only partially? The C-3 is pretty much an unknown quantity for Western intelligence since Russian military engineers have been working tirelessly on upgrades for some months. 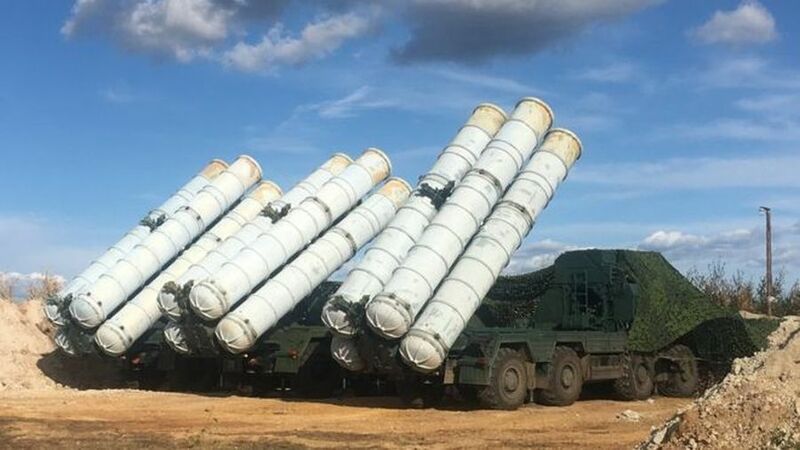 Israel military officers have wisely stopped boasting that their air force can easily handle the S-300s, having realized that the version of this anti-air system tested in Israeli war games in Greece and other places is more or less obsolete. It has been replaced by a far more sophisticated S-300 which is the version shipped to Syria in the last two weeks.